Every Sunday, we post 5 of the best geofilters we have seen during the previous week. As we know, having your own geofilter helps make special events much more your unique and exciting. 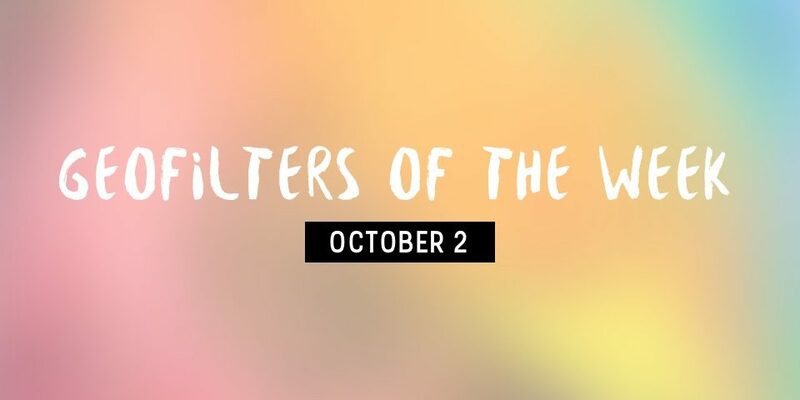 So this edition is focuses on our favourite wedding geofilters that we have created this week. 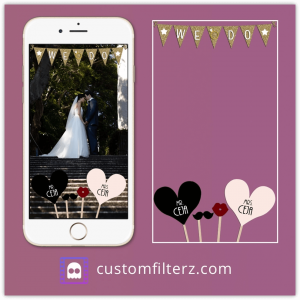 If you are looking for some Snapchat geofilter ideas or design inspiration for your wedding geofilters, check out our 5 favourites from this week below. 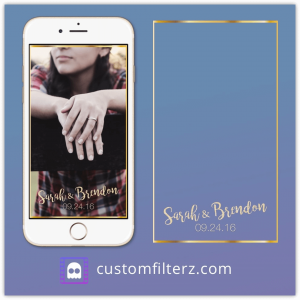 These first 2 wedding geofilters were created for a Gatsby themed wedding. They came out amazingly well and added an extra edge to the special day! We all know that everyone loves to Snap their night out. 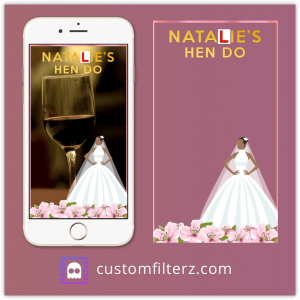 Using a custom geofilter is a great way to capture all the funny moments that happen on a hen or stag do. It will get your friends sharing the night and help make it unforgettable. 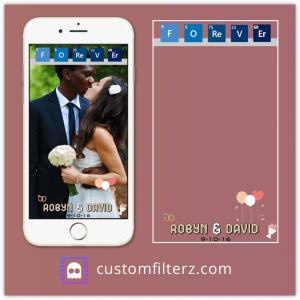 This wedding geofilter was created to help Robyn and David celebrate their day in style! This design has proved to be really popular amongst brides and grooms to be. The simple and elegant design shows up really well on Snapchat and gives guests a really fun way to share the day with their friends. 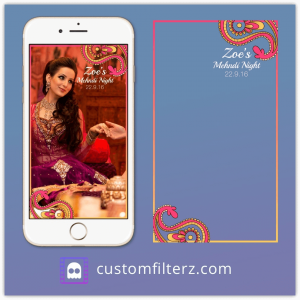 Finally we have Zoe’s Mehndi Night geofilter. The design looked awesome on Snapchat! Do you have a special coming up? 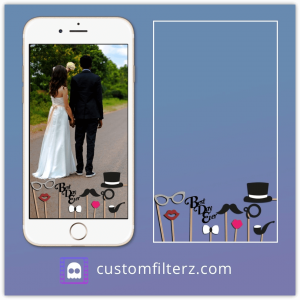 If you would like to order a geofilter, please visit our site CustomFilterz.com where you can tell us about how you would like your design to look and browse other designs for inspiration. If you have spotted any cool geofilter designs or used any yourself this week, we would love to hear about them in the comments below. Otherwise, thanks for reading and we’ll be back next week with another geofilter update.